In a strip center, we have 6 electrical meters from one service lateral. Each electric meter and disconnect serves one unit. We have 2 of these units combining into one lease space. We have informed the contractor they must combine the two services into one. We (the city) are getting pushback from the electrical engineer. he states it is not required by the NEC. I disagree. Any thoughts? Plus if the electric company is a different entity, their rules. Not on that side, put I know our city requires one meter, and would not allow this set up. Do you have a city electrical inspector??? The six disconnect rule in 230.71 applies to the 6 meter/mains on the building, therefore the building only has 1 electrical service that provides power to each tenant space. 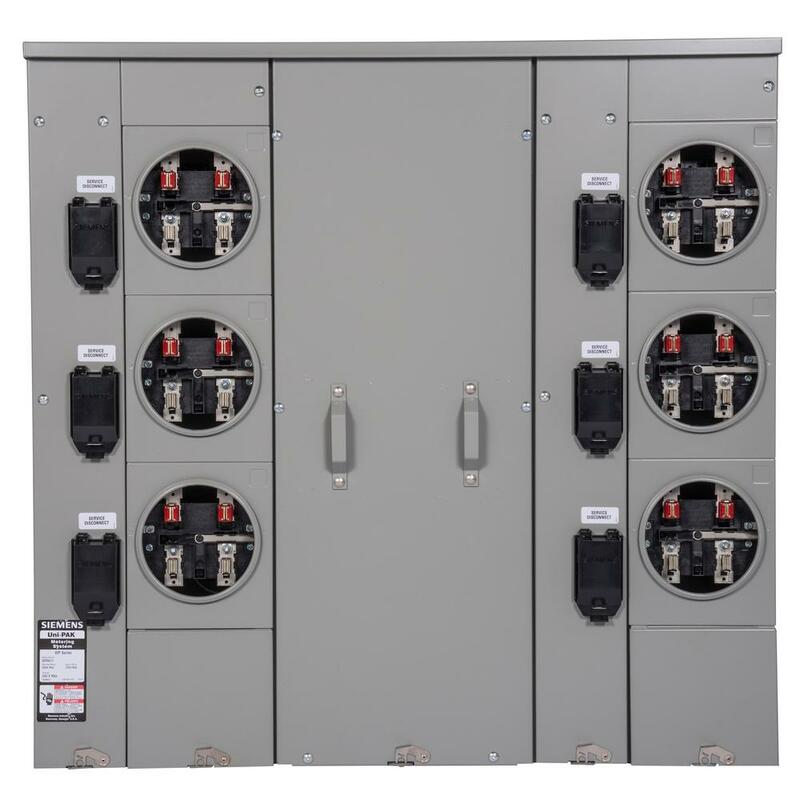 Each of the 6 tenant spaces is supplied by a feeder from the load side of their disconnecting means at the service/meter location, and each unit has their own subpanel(s) for the electrical loads that are associated to each tenant space. The tenant spaces are not supplied with individual electrical services. Why would a tenant have to combine multiple feeders into a single feeder if they occupy multiple tenant spaces? What happens when the tenant leaves and the space is divided back into separate units? The Electrical Engineer is correct, what is being requested by the city is NOT required by the NEC. As long as the existing feeders have an ampacity that is sufficient for the connected load in accordance with Article 220, the NEC requirements in Article 215 for feeders have been satisfied. Article 230 has purview of the 6 meter/mains, but Article 230 does not have purview over the distribution panelboards or feeders to each of the tenant spaces. The tenant will have to pay separate utility bills, one of each meter, but that is not a safety concern of the NEC. I bet the service equipment looks very similar to the picture below. Each tenant space has is own meter and disconnecting means, which is a circuit breaker. The 6 disconnects are considered a single electrical service.